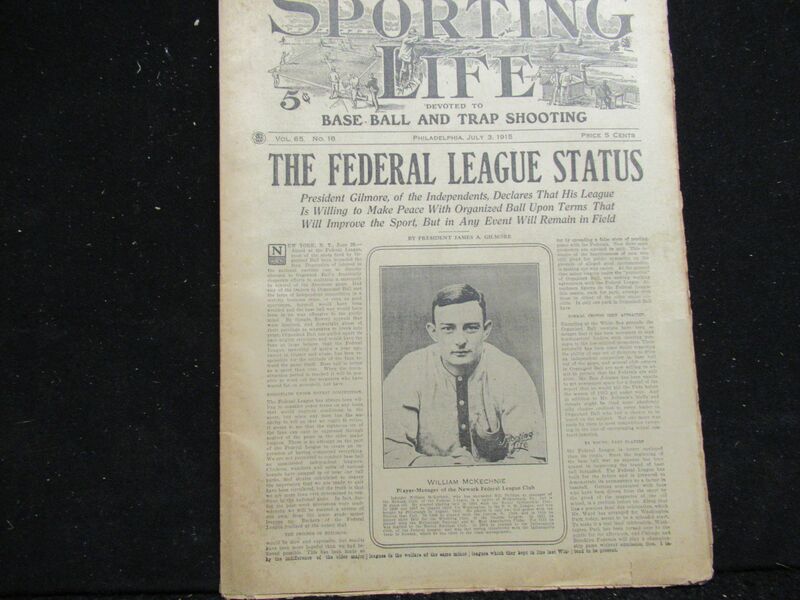 1915 Sporting Life Full Magazine/Paper. 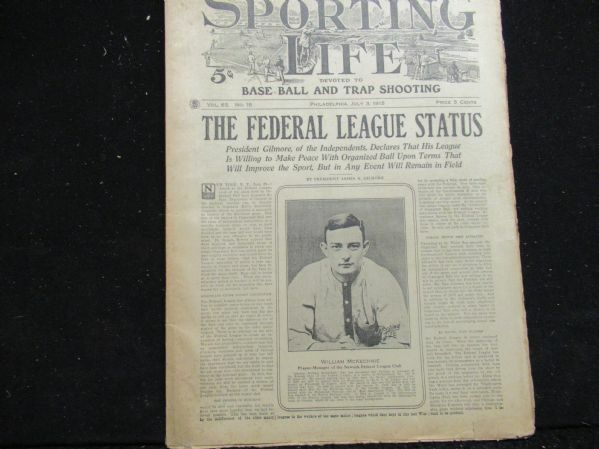 Full coverage of the fledgling Federal League. July 3, 1915 issue. Bill McKechnie featured on cover. Issue is full and complete.